"If I built a car, it'd be totally new! Here are a few of the things that I'd do. . . ." Jack has designed the ultimate fantasy car. Inspired by zeppelins and trains, Cadillacs and old planes, with brilliant colors and lots of shiny chrome, this far-out vision is ready to cruise! there's a fireplace, a pool, and even a snack bar! After a tour of the ritzy interior, robert the robot starts up the motor . . . and Jack and his dad set off on the wildest test drive ever! 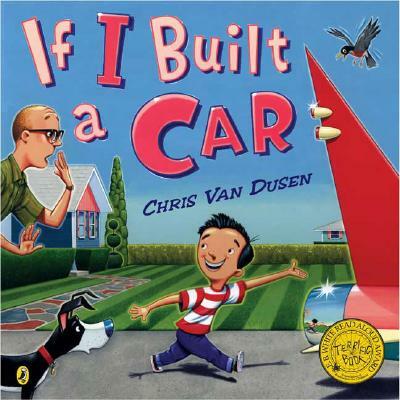 Chris Van Dusen lives in Camden, Maine.